To identify one’s mobile phone the ESN serves a vital role. 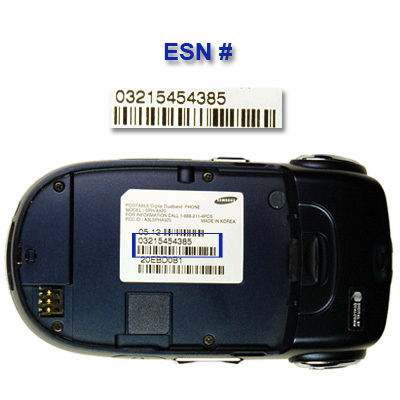 This is an identifier which is used by the CDMA network in order to distinguish a phone from others. It is also useful to determine the subscriber to whom the phone belongs. The first and foremost step is that we have to obtain the MSL (SPC) code. In order to obtain this code we have to call the service provider. In order to obtain the MSL code we have to give a valid reason to service provider. We can give a reason that we need that information in order to activate our phone. In most cases the service provider gives the code for this reason. We have to download certain necessary software in order to change the ESN number. The software are QPST, ESN Checksum Calculator andXVI132 Hex Editor. The next step is to obtain the modem drivers. We have to find the modem drivers of our personal computers and then we have to connect he phone to our computer. The next step is that we have to configure the QPST software. For this first we must open the QPST, and then click on Add New Port, and then we have to select the Com Port which is under use. After clicking OK if we notice a code below the phones then we are in the right track. After this step we have to click “Start Clients” in our phone. In that we can find an “EFS Explorer”. We have to go there and enter the “SPF” code. For this we have to we have to enter the MSL code provided by our service provider. After the NVM loading is done we have to copy “NVM>$SYS.ESN” in our system. The next step is to use the ESN checksum Calculator software. We have to open that software and then we have to enter the ESN code and then we have to calculate the checksum. After finishing this step we have to save this file and copy that to the EFS file Explorer. After overwriting the file the process is complete. We can remove the phone from our computer. The above steps are useful in changing the ESN number. In United States changing an ESN number is prohibited and in case we are caught strict measures are to be taken.